Let’s face it – those of you who enjoy camping, whole heartedly believe that your caravan is your second home. Taking care of your caravan is of utmost importance and although caravans are designed for the outside, leaving it to stand in an exposed storage space for extended periods of time isn’t ideal. That's why you need a safe & secure storage solution for your caravan. With councils cracking down on on-street parking, finding a decent sized, safe and secure caravan storage space is becoming hard. Spacer provides the ideal storage solution for caravan owners. We have a large range of outdoor caravan storage spaces, yard space and paved carports, conveniently located near you with wash bay and cleaning facilities. Store your second home safely today at Spacer self storage, ready for your next exciting camping holiday. Australia is an extraordinarily beautiful place with a vast and diverse landscape. It is known all over the world for its natural wonders and wide open spaces from its pristine beaches, large deserts, serene parks and wide outback. With Australians’ laid-back attitudes and love of the great outdoors, no wonder caravanning is a perfect holiday retreat. The caravan was and is still popular for nomads and young families. According to the Caravan Industry Association of Australia, there were 11.7 million trips by domestic caravan in 2016 with more caravans sold than cars. Caravans come in all shapes and sizes. The prices depend on the caravan’s size, features and brand. 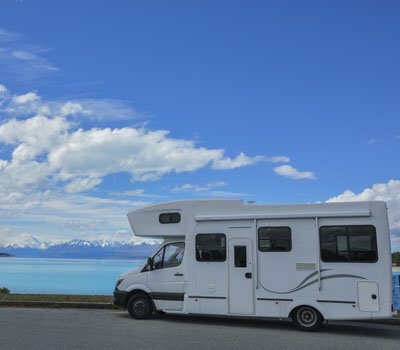 Though more expensive than traditional camping, people choose to caravan as it is spacious and comes with necessities such as a fridge, bedrooms, bathroom, TV and air conditioning unit. Caravans are convenient and secured. These motorhomes make great camping out memories with family and friends. With around 2000 caravan parks around Australia, you’ll surely find the perfect destination. Today, you can choose from powered sites, unpowered sites, ensuite sites for caravans, long-term cabin and even apartment accommodation. The caravan parks are now more like hotels with facilities depending on your preferences and budget. We’ve listed several caravan parks around Australia. NRMA Sydney Lakeside Holiday Park is a multi award winning holiday destination perfect for caravanning and camping. 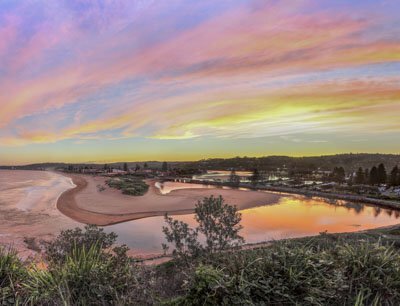 The Narrabeen Caravan Park is a favorite for long summer holidays or even quick weekend getaways. They offer family-friendly facilities, self-contained accommodation options and a spectacular view of the Sydney Opera House and Sydney Harbour Bridge. It is conveniently located just 17 kilometres from Sydney central business district and has something to suit all budgets. 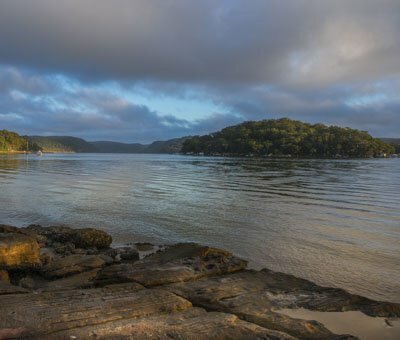 Ingenia Holidays Sydney Hills is located in the middle of Hawkesbury River and the Blue Mountains, northwest of Sydney central business district. This is the perfect destination to experience the natural wonders of Sydney with a variety of cabin, caravan, motorhome and camping sites. Their facilities include camp and communal kitchen, barbecue, laundry, communal bathroom, outdoor dining area, dump point, playground, tennis court, playground and more. Colo Riverside Park is a beautiful bushland on the banks of the Colo River that offers powered and unpowered camping and caravan sites. The Colo River is just perfect for swimming, kayaking and a favourite spot for bass fishing. It is a convenient stop-over along Putty Road with quality meals, excellent coffee and on-site bottle shop for dine-in and takeaway. Colo Riverside Park is located about an hour and half drive northwest of Sydney. 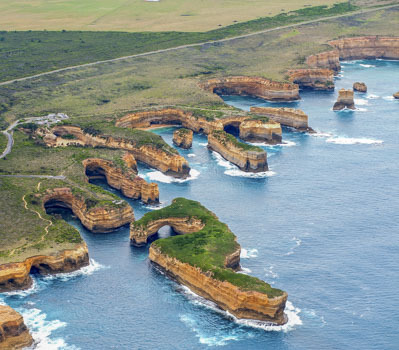 The Great Ocean Road is one popular caravan destination in Melbourne. It is also known for its estuary and surf fishing, cray fishing, diving and swimming. The park features modern camp kitchen, good old barbecue area, an open fireplace, children’s playground, game and TV rooms and even free WiFi. Caravaners can choose between powered and unpowered sites depending on their set budget while enjoying the picturesque and tranquil outdoor. Located one kilometre west of Cowes in Melbourne is the family-friendly Cowes Caravan Park. They provide fun entertainment for all members of the family from swimming, surfing, picnicking and fishing. Pets are also welcome in the off-season. Campers can choose from different types of accommodation. Popular choice is their beachfront sites as it accommodates larger motorhomes and caravans. Cowes Caravan Park offers acres of beautifully maintained parkland, tall shade trees and grassed sites, with a well-equipped camp kitchen, recreation hall, playground, amenities, laundry, disabled facilities and babies bathroom. Enjoy the beautiful fresh air and mountain views in Colac Colac Caravan Park. Clack Clack as most locals call it, this luxury caravan park is located six kilometres from Corryong on the Murray Valley Highway in Melbourne. They offer a luxury cabin by the creek, ensuite and standard cabins or powered and unpowered sites. 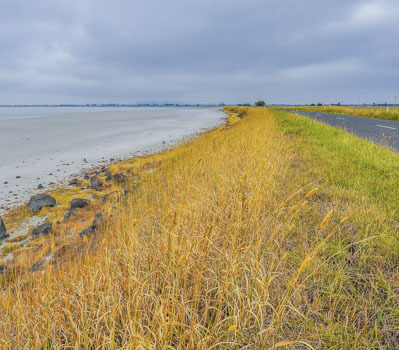 Tourist can go cycling and walking through the track linking Colac Colac to Corryong and marvel the beauty of this 15-acre manicured ground with an abundance of bird life by the magnificent Nariel Creek. The Greenacres Caravan Park is set in the bushland surroundings of the Redland Shire and is conveniently located within twenty-six kilometres south of Brisbane central business district. The park offers a number of alternative accommodation types for tourists and permanents including Caravan and Camping Sites, fully self contained Cabins, Villa’s and other accommodation types to meet specific camper requirements. Enjoy camping traditions such as fishing and boating or visit the major shopping centres nearby. Whether it’s a quick weekend getaway with friends or a long school holiday break with the family, Boomerang Biloela Caravan Park can cater to different alternative accommodation types especially caravanning. The park is just a five-minute walk into the Town Centre of Biloela, a short walk to Queensland Heritage Park and a short drive to the Callide dam and the Cania Gorge. 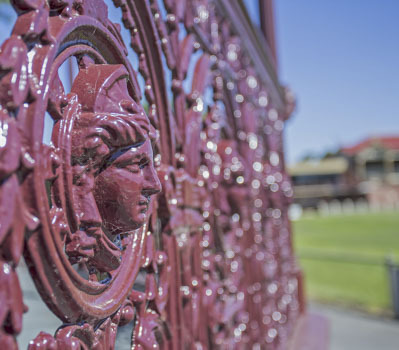 Maryborough Caravan and Tourist Park is located in a quiet garden setting that is just two kilometres from Maryborough central business district. It is adjacent to the Westside Tavern and Shopping Complex is in close proximity to all conveniences and services. The park offers a number of alternative accommodation types including Caravan and Camping Sites, fully self contained Cabins and Units to meet specific requirements. This the closest holiday caravan getaway from the city of Maryborough. With thousands more sites in Australia, you can pack up and head on a road trip anytime, anywhere. Now more modern than ever, caravan parks feature comprehensive facilities that will make your caravanning experience more comfortable. Caravan manufacturers are also providing for a greater range of caravan preferences and financial capacities. With the high demand, they are producing more efficient and affordable caravans for the Australian market. Though caravans are still an expensive choice, heavier to tow and need maintenance, many prefer to own one. Owning a caravan also means that you need that space to park the vehicle when not in use. Don’t let lack of parking facility hinder you from purchasing your very own caravan and taking that nature adventure trip with loved ones. Find affordable and secure spaces to store your caravan here at Spacer.